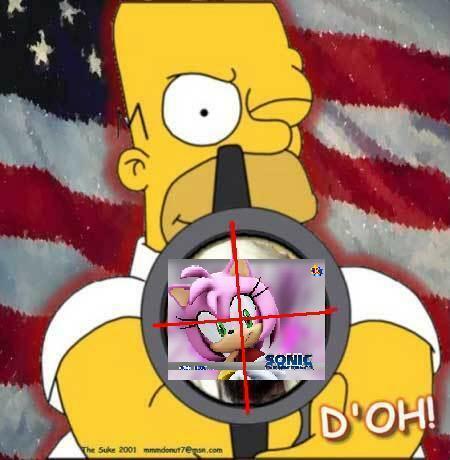 homer vs amy. . Wallpaper and background images in the Sonic the Hedgehog club tagged: amy. why won't this happen to amy!?!? !